During the most recent season the centre welcomed nearly 90,000 patrons. 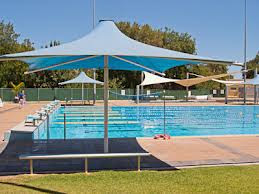 This is an increase of nearly 2,000 patrons and despite competition from the newly refurbished Burnside Pool. Swimming lesson participation increased by 15%, thus enabling an increasing amount of young people to be safe in the water. The Free Friday initiative morphed into Friday for a Cause and enabled the centre to donate nearly $2000 to Alzheimer's SA. During the winter break the kiosk and administration area will will be getting upgraded to improve customer service. The centre's water pumps will also be re-conditioned during the break. Once again this facility is providing an excellent service to our community.